Managing Partner of Frankfurt Kurnit since 2010, Jeffrey A. Greenbaum is one of the country’s leading advertising lawyers. He is a partner in the firm's Advertising, Marketing & Public Relations Group and has extensive experience representing advertisers, advertising agencies, and media companies on advertising, branded entertainment, and intellectual property matters. He is also the Chairman of the Global Advertising Lawyers Alliance. Best Lawyers in America has twice named him "Advertising Lawyer of the Year" for the New York metro area. Mr. Greenbaum advises clients on a wide variety of advertising-related matters, including advertising regulation, rights clearance, social media, sweepstakes and contests, union issues, network clearance, and global clearance issues. He helps clients negotiate virtually any type of advertising-related agreement, including advertising agency agreements, media buys, talent contracts, production agreements, intellectual property licenses, and sponsorships. He also regularly represents advertisers in connection with advertising litigation, including federal, state, and local regulatory investigations and National Advertising Division and other self-regulatory proceedings. Mr. Greenbaum has previously served as Chairman of the Committee on Consumer Affairs of the New York City Bar. He currently chairs the City Bar’s annual “Hot Topics in Advertising Law” program. He has also served as a Director and Secretary of the Brand Activation Association and has served as Co-Chairman of the Brand Activation Association’s law conference. Mr. Greenbaum has been recognized for many years as a leading advertising lawyer by Best Lawyers in America, Chambers USA Leading Lawyers for Business, The Legal 500, and Super Lawyers. In addition, Best Lawyers in America named him “Advertising Lawyer of the Year” for the New York Metro area (2015, 2017) and “Copyright Lawyer of the Year” for the New York metro area (2019). The Legal 500 also gave him special recognition as a “Leading Lawyer” (2019). Who’s Who Legal – Data also recognized him as a leading lawyer in Telecoms & Media (2019). He was also twice the recipient of the Brand Activation Association’s Beacon Award. Mr. Greenbaum is a frequent speaker on advertising issues in the United States and around the world. He has spoken at the Federal Trade Commission’s "Protecting Kids' Privacy Online" workshop, the "FTC at 100" workshop, the FTC's "Rebate Debate" workshop, and at the FTC's "Green Lights and Red Flags: FTC/BBB Rules of the Road for Advertisers" program. He has also spoken at conferences and programs sponsored by the National Advertising Division, the Association of National Advertisers, the Brand Activation Association, the National Advertising Review Council, the Electronic Retailing Self-Regulation Program, the Electronic Retailing Association, the Intellectual Property Owners Association, the Association of Independent Commercial Producers, the Society of Digital Agencies, the American Intellectual Property Law Association, ASIPI, ALI/ABA, the Association of Corporate Counsel, the Global Advertising Lawyers Alliance, the American Bar Association, the New York State Bar Association, the New York City Bar, the New York County Lawyers Association, and many others. 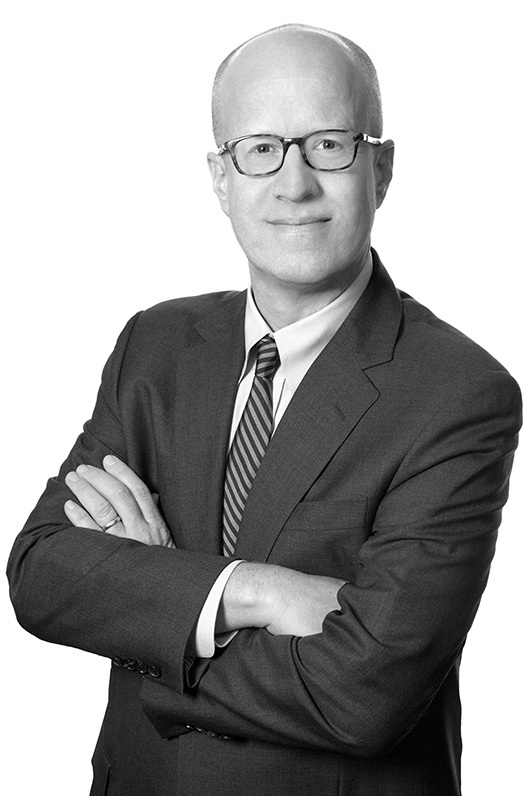 Mr. Greenbaum has been quoted in publications such as The New York Times, The New York Post, The Washington Post, Advertising Age, Adweek, The Hollywood Reporter, CNBC, Mashable, FTC Watch, Law360, and many others. He has appeared on the CBS "Early Show" and Bloomberg Law. He participated in the symposium, “New Impressions on Advertising Law,” which was published in the Cardozo Arts & Entertainment Law Journal (2016). He is also the author of "Specific Corporate Compliance Challenges by Practice Area: Advertising" in Corporate Compliance Practice Guide: The Next Generation of Compliance (LexisNexis, 2009) and "Developing an Advertising Compliance Program" in Advertising and Marketing Litigation Best Practices (Aspatore, 2007). He has also served as the "Legalease" columnist for Shoot magazine for many years. Mr. Greenbaum is a graduate of Brandeis University and Columbia University School of Law. He is a member of the Dean's Advisory Council at the University of Michigan Law School. He has also served as an adjunct faculty member at Parsons School of Design. He is admitted to practice in New York. Jeffrey A. Greenbaum speaks on “The Legal Environment: Latest Developments in Advertising Law Worldwide” at the International Counsel for Ad Self-Regulation annual meeting in Paris. Jeffrey A. Greenbaum presents "Social Media Platforms and Trust" and Brian G. Murphy presents "In-House Agency Challenges" at the ANA Advertising Law & Public Policy conference in Washington DC. More information here. Jeffrey A. Greenbaum and Brian G. Murphy present, “A Dozen Advertising Law Tips for 2019” for the Society of Digital Agencies (SoDA). Click here to view the presentation. Jeffrey A. Greenbaum and Matthew Vittone present “Hot Topics in Advertising & Marketing Law” during a live broadcast for the Federal Bar Association and myLawCLE. Frankfurt Kurnit sponsors the 2018 ANA/BAA Marketing Law Conference in Chicago. Rick Kurnit moderates "The Right of Publicity vs. Other Content Claims," Jeffrey A. Greenbaum and Brian G. Murphy co-moderate "Ten Major Contract Clauses Every Marketing Lawyer Can't Do Without" and Hannah E. Taylor presents "Avatars, Chatbots, and Other Daunting Futuristic Media." More information here. Jeffrey A. Greenbaum chairs the New York City Bar’s annual “Hot Topics in Advertising & Marketing Law” CLE program. Jeffrey A. Greenbaum chairs the City Bar’s annual “Hot Topics in Advertising Law” program in New York City. Jeffrey A. Greenbaum moderates the panel, “Influencer Marketing,” in Budapest. The event is sponsored by the Global Advertising Lawyers Alliance. For more information, contact sbess@galalaw.com. Jeffrey A. Greenbaum speaks at “Leading the Pack: Using Influencers & Social Media” (live seminar in New York City and webinar) sponsored by Team. Jeffrey Greenbaum speaks on the webinar “Social Media Influencers and the FTC” for the California Lawyers Association Intellectual Property section. Jeffrey A. Greenbaum speaks at “Managing Partners Roundtable: Emerging Technologies for Law Firms,” sponsored by the New York State Bar Association. Candice Kersh presents “Inspiration vs. Infringement: Avoiding Liability in a Social Media World”, Jeffrey Greenbaum moderates an international panel of lawyers from the Global Advertising Lawyers Alliiance, “Getting to ‘Shi,” “Si,” “Oui,” and “Na’am” for Global Campaigns,” and Rick Kurnit presents "If the lawyers are uncomfortable with it, it must be a good ad" at the Association of National Advertisers Law & Public Policy Conference in Washington, DC. Jeffrey A. Greenbaum will be speaking at “Advertising in the US and Around the World,” in New York City, sponsored by the Global Advertising Lawyers Alliance. For more information, or to register, contact Stacy Bess at sbess@galalaw.com. Jeffrey A. Greenbaum will be speaking at the conference, “21st Century Legal Challenges for Advertising and Marketing in the Caribbean: The Impact of Intellectual Property Rights, Social Media, and Privacy.” The conference, sponsored by the Global Advertising Lawyers Alliance, will be held in Kingston, Jamaica. Jeffrey will be speaking on, “The Use of Influencers and Other Dos and Don’ts in Social Media” and “Legal Developments in Advertising Regulation in the Americas.” For more information, contact sbess@galalaw.com. Jeffrey A. Greenbaum and Brian G. Murphy present “A Dozen Advertising Law Tips for 2018” at Shutters on the Beach in Santa Monica, California. More information can be found here. Jeffrey A. Greenbaum is on the Cyber Law & Business Report show with Bennet Kelley speaking about the FTC and Influencer Marketing. This program airs at 1PM ET on WebmasterRadio.fm. To listen to the show click here. Jeffrey A. Greenbaum speaks on a webinar about Influencers with Natalie Silverstein, VP, Brand, Marketing & Culture from Collectively for the Society of Digital Agencies. A link to the presentation can be found here. Jeffrey A. Greenbaum speaks on the panel “Advertising in Social Media” during the Hot Topics in Global Advertising Law seminar at the Global Advertising Lawyers Alliance Meeting of the America's in Panama City. Jeffrey A. Greenbaum speaks at ASIPI Panama 2017 during the Work Sessions panel on Native Advertising. More information can be found here. Frankfurt Kurnit sponsors the ANA/BAA 39th Marketing Law Conference in Chicago. Rick Kurnit moderates "The Right of Publicity vs. Fake News and Other Content Claims", Jeffrey A. Greenbaum and Brian G. Murphy present "Content Creep: Media Deals with Custom Content, Native Advertising and Other Value-Added Elements" and Hannah E. Taylor and Daniel M. Goldberg present "Chat Bots/Social Bots - Rewards & Risks". More information can be found here. Jeffrey A. Greenbaum will be chairing the annual “Hot Topics in Advertising Law” program at the City Bar in New York City. Jeffrey A. Greenbaum presents “Going Global” at the “Advertising and Marketing Law: Social Digital, Online Compliance Conference” to the Ontario Bar Association. Jeffrey A. Greenbaum presents at "The State of Influencer Law in 2017" for Attention in Santa Monica, CA. Jeffrey A. Greenbaum will be speaking on “#Fail: Legal Pitfalls of Social Media” at the Beverly Hills Bar Association. Jeffrey A. Greenbaum speaks at AICP: Lawyers on the Clock. The firm sponsors this annual event. Jeffrey A. Greenbaum and Victoria Cook present a seminar for SHOOTonline's Directors/Producers Forum 2017 focusing on the directors. The seminar will speak to contracts, career development, and branded content. Jeff Greenbaum and Brian Murphy from our New York office, and Daniel Goldberg from our new Los Angeles office, will lead a fun, fast-paced and informative discussion in which they discuss recent developments in advertising law at Shutters on the Beach in Santa Monica. For more information and to RSVP, click here. Read more. Jeffrey A. Greenbaum speaks at the “Managing Partners Conference Series,” sponsored by the New York State Bar Association. Jeffrey A. Greenbaum will be speaking at a “Global Advertising Law Year in Review” webinar, sponsored by the Practicing Law Institute. Frankfurt Kurnit sponsors the BAA - ANA Marketing Law Conference in Chicago. Jeffrey A. Greenbaum, Rick Kurnit and Brian Murphy are presenting at the annual event. Frankfurt Kurnit Klein + Selz, Clearcast and the Dutch Advertising Code Authority co-sponsor GALA's Advertising Law Conference in Amsterdam. Jeffrey A. Greenbaum is GALA's current Global President. Jeffrey A. Greenbaum and Jeffrey Farmer (Senior Counsel from Re:Sources USA) will present an FTC Year in Review for Association of Corporate Counsel members at Frankfurt Kurnit. Jeffrey A. Greenbaum chairs the 15th annual “Hot Topics in Advertising Law” program at the New York City Bar, in New York. Jeffrey A. Greenbaum speaks at the Interactive Advertising Bureau’s “2016 IAB Global Summit” on “Legal Matters: Around the World of Policy, ePrivacy, and Digital Advertising Laws.” The event takes place in New York City. Jeffrey A. Greenbaum speaks about global advertising issues at the Interactive Advertising Bureau Global Summit in New York City. Jeffrey A. Greenbaum speaks on a panel, “Brands Under Attack: How Brand Owners Can Save Face,” at the Intellectual Property Owners Association annual meeting in New York City. Jeffrey A. Greenbaum speaks on "#SponsoredContent! What You Need to Know About the FTC Guidelines When Counseling Advertisers and Influencers in New Media" for the Beverly Hills Bar Association . Jeffrey A. Greenbaum moderates a panel, “Global Social Media Marketing,” with lawyers from the Global Advertising Lawyers Alliance representing the United Arab Emirates, the United Kingdom, Costa Rica, and South Africa. Jeffrey A. Greenbaum speaks at the AICP’s “Lawyers on the Clock” in New York City. The event is part of AICP Week. Jeffrey A. Greenbaum speaks at the Shoot Magazine Directors/Producers Forum & 14th Annual New Directors Showcase at the DGA Theater in New York City. In a session entitled, “Role Reversal: Lawyer on the Witness Stand,” he will be interviewed by Shoot Editorial Director & Publisher Roberta Griefer. For more information and to request a seat at the event, please click here. Jeffrey A. Greenbaum speaks at the 6th Annual Advertising & Marketing Law Conference in London, England. Jeffrey A. Greenbaum and Hannah Taylor present the CLE "Hashtag Law – Legal Issues in Using Hashtags in Advertising and Social Media" for PLI. Jeffrey A. Greenbaum and Hannah Taylor present "Everything You Always Wanted to Know About #Hashtags* *But Were Afraid to Ask". Read more. Jeffrey A. Greenbaum moderates a call-in program, “Global Advertising Law Year in Review.” The program, sponsored by PLI, will feature updates on global advertising law developments from around the world. Jeffrey Greenbaum and Hannah Taylor deliver a one hour briefing on hashtag use for PLI. Jeffrey A. Greenbaum, Rick Kurnit and Brian Murphy moderate panels at "Walking the Line: Between Innovation and Regulation". The annual BAA Marketing Law Conference takes place November 9-11 at the Downtown Chicago Marriott. Jeffrey A. Greenbaum speaks on "Motion Picture and Television Licensing in Today's World: More Than Just Action Figures," at the Practising Law Institute's Technotainment conference in New York City. Jeffrey A. Greenbaum is a featured speaker at ADWKSF on the panel, "Creative & Legal - Horror Stories & How to Avoid Them", presented by Ad 2 San Francisco and The San Francisco Egotist on Tuesday, October 13th. Our Advertising Group hosts a CLE on FTC issues, and a cocktail party, for Association of Corporate Counsel members. Jeff Greenbaum and Shelly Paioff of Taboola will present on FTC developments. Jeffrey A. Greenbaum will speak at GALA's Breakfast Seminar on "International Trends in Regulation and Self-Regulation in Digital Marketing". Jeffrey A. Greenbaum speaks on "Special Topics in Advertising on Platforms" at the Practicing Law Institute's Hot Topics in Advertising Law 2015 in New York City. Jeffrey Greenbaum speaks on "Negotiating Advertising Agency/Client Contracts" at the Brand Activation Association's Business of Marketing Law Conference. Jeffrey A. Greenbaum presents "Blurred Lines: What Everyone Should Know About the New World Of Native Advertising" at the SHOOT 2015 13th Annual New Directors Showcase. Register here. Jeffrey A. Greenbaum moderates the Table Topic, "Emerging Issues in Native Advertising," at INTA's Annual Conference. The Global Advertising Lawyers Alliance (GALA) presents “Hot Topics in Advertising Law” in Toronto on April 20th, and New York on April 23rd. Jeffrey Greenbaum, Global Chairman of GALA, will speak on advertising law issues in the US. For more details on the event click here. Jeffrey A. Greenbaum hosts the CLE "FTC 2014 Advertising Year in Review" in our boardroom. Please click here for more information and to RSVP. Jeffrey A. Greenbaum moderates the Practising Law Institute's "Conducting Global Sweepstakes & Contests" webcast. Jeffrey A. Greenbaum presents a CLE on the "FTC's New Focus on Disclosures in Advertising" at Frankfurt Kurnit. Register here. Jeffrey A. Greenbaum and Brian Murphy present "Advertising and Social Media" at the Global Advertising Lawyers Alliance's International Seminar on Advertising Law in Mexico City. Jeffrey A. Greenbaum speaks on "What's Hot at the FTC" at the ANA Legal Affairs Committee meeting. Jeff Greenbaum moderates "Crossing Borders Without Crossing the Line - Global Advertising Compliance" at the 36th Annual BAA Marketing Law Conference in Chicago. Jeffrey A. Greenbaum speaks on social media issues at an online advertising program sponsored by the Global Advertising Lawyers Alliance and the Swedish Marketing Managers, in Stockholm, Sweden. Rick Kurnit presents "'Native Advertising' - a look at US Legal, Regulatory, and Business Developments" at Lewis Silkin LLP in London. Jeffrey A. Greenbaum speaks at the BBB Self-Regulation Conference in Washington D.C., and moderates a panel on "Self-Regulation in a Global Economy: Barriers and Opportunities." Jeffrey A. Greenbaum speaks at a "Business Affairs Boot Camp" sponsored by the AICP. Jeffrey A. Greenbaum and Brinsley Desden of Lewis Silken provide an overview of the rules governing advertising to consumers in the United Kingdom, with a special emphasis on social media. This program is co-sponsored by the Global Advertising Lawyers Alliance, and will take place at Frankfurt Kurnit from 9:00AM to 10:00AM. Jeffrey A. Greenbaum moderates a call-in program on "Legal Issues in Ambush Marketing". In addition to the United States, the panel includes lawyers from Canada, The Netherlands, South Africa, and Brazil. The program is sponsored by Law Seminars International and the Global Advertising Lawyers Alliance. Jeffrey A. Greenbaum speaks on "Breaking news: What Katherine Heigl's lawsuit means for your brand" for socialmedia.org. Jeffrey A. Greenbaum speaks on "Green Marketing, Antisocial Behavior, and Viral Marketing" at the ASIPI conference in Punta Cana. Jeffrey A. Greenbaum, Rick Kurnit, and Greg Boyd speak at the 35th Annual BAA's "Marketing Law Conference" in Chicago. Frankfurt Kurnit sponsors the conference, one of the largest in the world for brand marketers and their agencies. Jeffrey A. Greenbaum speaks on advertising and commercial production issues at "Lawyers on the Clock," sponsored by the Association of Independent Commercial Producers, in New York City. Jeffrey A. Greenbaum chairs the New York City Bar’s annual "Hot Topics in Advertising & Marketing Law" event. Jeffrey A. Greenbaum speaks at the "Licensing IP and Technology" conference in Seattle, Washington. Jeffrey A. Greenbaum hosts a "Meet the Regulators" breakfast, sponsored by the Brand Activation Association. The event features Bill Effron, Director of the FTC’s Northeast Region, Jane Azia, Director of the New York Attorney General’s Consumer Frauds Bureau, and Marla Tepper, General Counsel of the New York City Department of Consumer Affairs. Jeffrey Greenbaum moderates a discussion at the INTA Annual Meeting in Dallas, Texas regarding the latest "Hot Topics in Social Media Marketing". Jeffrey A. Greenbaum speaks at the Justice Media Conference at Brandeis University. Jeffrey A. Greenbaum speaks at the AICP Digital Town Hall in New York City. Jeffrey A. Greenbaum speaks at the 26th annual Media and the Law Seminar in Kansas City on April 19, 2013. Jeffrey A. Greenbaum conducts a telebriefing, with Michael F. Ostheimer from the Federal Trade Commission, on the new online advertising disclosure guidelines. Jeffrey A. Greenbaum speaks at the AICP Digital Town Hall in Los Angeles, California. Jeffrey Greenbaum speaks on "Crisis Management: Utlizing Morals Clauses" and a "Quick PR Response to Protect a Celebrity and/or the Brand" at the Entertainment Law Summit. Jeffrey Greenbaum participates in a telebriefing for the Law Seminars International on the FTC's Final Green Marketing Guides. Jeffrey A. Greenbaum speaks on the panel "Social Media Takes Off" at the ABA’s annual Forum on Air & Space Law meeting . Jeffrey A. Greenbaum speaks at the AICP's annual conference. Jeffrey A. Greenbaum chairs this 11th Annual "Hot Topics in Advertising & Marketing Law" event at the New York City Bar. Jeffrey A. Greenbaum speaks at the Advertising and Marketing Law program sponsored by the Washington State Bar Association in Seattle. Jeffrey A. Greenbaum speaks at the 2012 ANA Advertising Law & Public Policy Conference in Washington, D.C.
Jeffrey A. Greenbaum speaks at the C5 forum on developing, and challenging, comparative advertising claims on a global basis in London. Jeffrey A. Greenbaum moderates the event "How Advertising Self-Regulation Benefits Social Media and Marketing", sponsored by the National Advertising Review Council as a part of Social Media Week. Jeffrey A. Greenbaum speaks on "Green Advertising" at the PMA Law Conference in Chicago. Jeffrey A. Greenbaum chairs the annual "Hot Topics in Advertising & Marketing" at the New York City Bar. Jeffrey A. Greenbaum speaks on social media and testimonials at the 2011 Electronic Retailing Self-Regulation Program's Advertising Week Summit in New York City. Jeffrey A. Greenbaum speaks at the Law Seminar International's Sixth Annual Advanced Conference on "New Issues in Today's Licensing Transactions" in Seattle. Jeffrey A. Greenbaum speaks on "Using Testimonial Claims" at the Affiliate Summit East in New York City. Jeffrey A. Greenbaum speaks on "Working with an Unworkable Standard: Effectively Using Certification Seals on Packaging with Appropriate Disclosures" at ACI's Green Marketing Compliance Summit in Chicago. The Hollywood Reporter, New York Post, and MediaPost quote Jeffrey A. Greenbaum on the recent New York Attorney General enforcement action against a vendor of fake social media followers. Business Report International and The Global Media Post quoted Jeffrey A. Greenbaum on false advertising. Mr. Greenbaum notes endorsers maybe held liable for participating in misleading advertising. SHOOT’s Directors/Producers Forum and evening New Directors Showcase, both held at the DGA Theatre in NYC on Thursday, May 25, offered a wide range of insights and observations, as well as substantive exposure for up-and-coming filmmaking talent. The Forum featured Jeff Greenbaum and Victoria Cook. Here’s a rundown of Forum proceedings. Read more. Don’t Have the Budget for a Celebrity Instagrammer? TheMarketingSite and Engineering News quote Jeffrey A. Greenbaum in the article, "Brazil Enacts New Ambush Marketing Laws". Read more here and here. TheMarketingSite and BizCommunity quote Jeffrey A. Greenbaum, GALA's Global Chairman on the 14th Annual Global Advertising Alliance Meeting here and here. When can a marketer claim that its products are "Made in the USA" if the products contain foreign materials? A recent FTC action provides guidance. Here's what happened. Read more. Jeffrey Greenbaum is quoted in Mashable,The Washington Post and Media Life Magazine on the budding controversy over Peyton's Manning's post-game endorsement of Budweiser beer. In August 2015, the Association of National Advertisers (ANA) announced a groundbreaking program to provide patent insurance to its members. Read more. Spanish language publication, Pulso, features Jeffrey A. Greenbaum in the article, “Experto en marcas llama a las empresas a autorregularse en cuidado de datos personales”. Read more. Jeffrey A. Greenbaum was quoted by FTC Watch about the recent ruling by the U.S. Court of Appeals where a panel of judges reminded advertisers to be more careful about backing up claims, but also warned the FTC that there are limits on its regulatory powers. CMO Council [here] and TheMarketingSite.com [here] quoted Global Advertising Lawyers Alliance (GALA) Chairman, Jeffrey Greenbaum, on GALA's recent release of "Advertising Law: A Global Legal Perspective," an advertising law book which provides an overview of the advertising and marketing laws in 56 countries. The New York Times (here), Fox News (here), HeraldNet (here), Demanjo NewsDesk (here), The DPost.com (here), News Bites, SaintPetersBlog, The Lewinston Tribune Online, and Chicago's Daily Herald quoted Jeff Greenbaum on the use of the phrase - "Super Bowl" - in advertising. As part of its continuing efforts to combat deceptive environmental marketing claims, the Federal Trade Commission ("FTC") recently sent warning letters to 15 plastic bag advertisers cautioning them that their "oxodegradable," "oxo biodegradable," and "biodegradable" claims may be deceptive. Read more. Bizcommunity.com quoted Jeffrey Greenbaum on legislation in Russia that impacts the ability of marketers to advertise beer. Frankfurt Kurnit Klein + Selz has appointed Catherine M. C. Farrelly (formerly Catherine M. Clayton) as partner and co-chair of the firm’s Trademark and Brand Management Group effective September 30th, 2014. Read more. The Metropolitan Corporate Counsel featured information about "Hot Topics in Advertising & Marketing 2007", a CLE seminar hosted by the New York City Bar Association and chaired by Jeffrey A. Greenbaum. Italia Oggi, a Milan newspaper that covers economics and politics, quoted Jeffrey A. Greenbaum on a new anti-spam law in Canada. InfoMoney Bloomberg in Brazil, VNExpress and DocBao in Vietnam, and The Oregonian in the United States all quoted Jeffrey A. Greenbaum on "ambush" marketing. As of April 1, 2014, all commercials produced under the SAG-AFTRA contract featuring SAG-AFTRA talent must incorporate the Ad-ID coding mechanism, developed by the American Association of Advertising Agencies and the Association of National Advertisers in 2003, for commercial tracking and calculating appropriate payments. Read more.